Americans are becoming more savvy about what’s happening with their food and water. 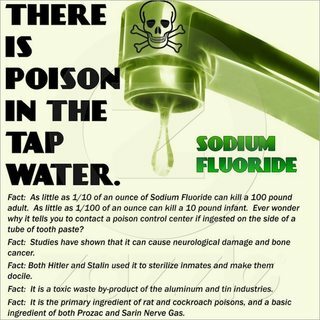 Once a fringe movement, recently calls to remove fluoridation have gone mainstream as more people become aware that fluoride is actually a deadly poison and that it has NO health benefits. Even the American Dental Association has admitted that it weakens the enamel on teeth. 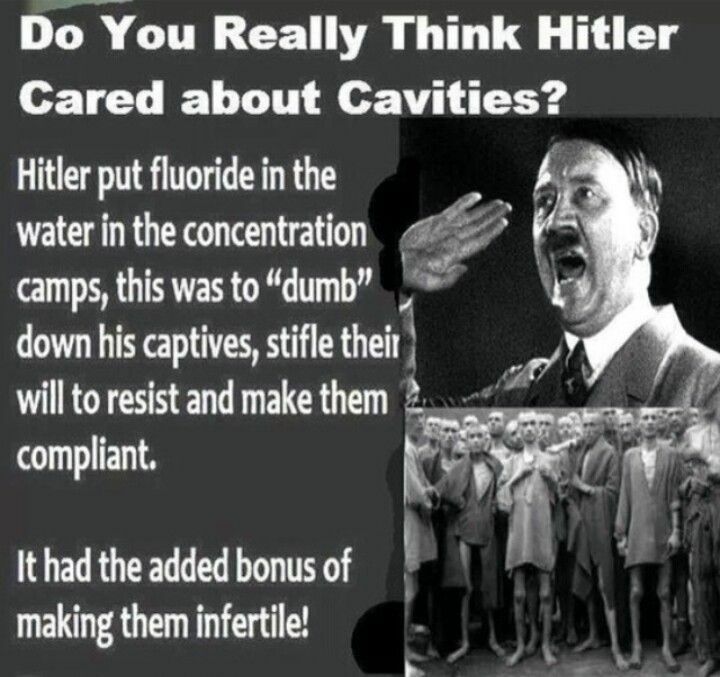 Yet dentists still push fluoride rinses for teeth, because there is a fear of going against medical standards and norms, with those who do so often being ostracized and losing their licenses. For the most part, our health is in the hands of a Babylonian system that cares more about its own profits than it does our welfare. That’s not to say that everyone participating in the system is unconcerned or profit-oriented. Below you’ll find stories containing references to doctors standing up against conventional standards and trying to warn people. You’ll also find information on how to make good choices to protect yourself from a medical system that is being pushed to the brink by the new Affordable Care Act, as doctors have more demands on them and even less time for patients or for thinking about the diagnoses and treatments they’re providing. As noted here, Hitler put fluoride into the water at concentration camps to weaken immunity, encourage sterility and make inmates more docile. Given that knowledge, why would a “benevolent” government be doing that in communities all across America? But fluoride is just the tip of the iceberg when it comes to what we’re eating and drinking, and government’s role in that. There is a scandal within America’s poultry industry, and the role that not only large corporations but also federal and state governments have in making sure that the situation will continue unabated is breaking news. It’s scandalous because contract farming keeps producers at the poverty level and punishes whistleblowers who speak out about not just the servitude they’re bound to, but also about the abuse of the birds and animals under the system. 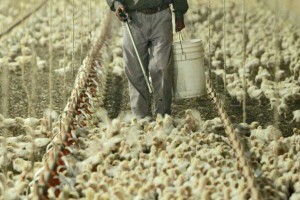 You’ll learn how large producers require birds be kept in barns with less than 1 square foot of space each so they can’t walk around, that they sit on mounds of feces since they’re packed so tightly there’s no way to clean them up, that they be denied fresh air and light (and yes, all of this is in the company contracts). 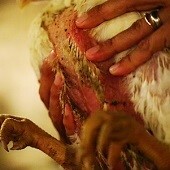 The birds are sickly with raw open sores and no feathers on their undersides, and high mortality. And as a result, they’re not healthy and our poultry is contaminated with bacteria at record levels. Yet companies still label them as “humanely-raised” because consumers don’t want to buy poultry from tortured and diseased birds. Yet government standards permit this false advertising. All of this is about profit, about hoodwinking the American public and punishing anyone who tries to speak out or ask that fair rules be enforced. A few brave souls have begun to do so, and there have been stories in major national publications such as the Washington Post, Wall Street Journal, etc. But they’ve paid a high price for their courage. Supposedly there are rules in place to protect farmers, but as the John Oliver documentary shows, each year the Ag Committee in the House has attached an amendment to its funding bill prohibiting those rules from being enforced. And in North Carolina, just this week lawmakers have passed a bill that protects the factory system by punishing whistleblowers, not just on farms but in hospitals and nursing homes as well. We’ve been saying it repeatedly: take charge of your own health. Don’t rely on anyone else, not even a medical professional. You need to learn as much as you can and find a doctor who will work with you, who knows about nutrition, and who will spend time answering your questions. Be proactive about your food and water – demand that fluoride be removed from your community, learn about factory farming and what Congress or state agencies are doing, then make phone calls and write letters to demand better. Purchase foods that are locally grown and organically raised whenever possible. The groceries are full of convenience foods, but how convenient is it when you’re sick and weak from the chemicals that make up most of them? It may take more time and it may cost a bit more, but what is your health worth? Aside from that, do you want to bear part of the responsibility for keeping farmers in poverty and for abused animals? Numbers 35:3 And the cities shall they have to dwell in; and the suburbs [surrounding pastures] of them shall be for their cattle, and for their goods, and for all their beasts. Nehemiah 9:36-37 Behold, we are servants this day, and for the land that thou gavest unto our fathers to eat the fruit thereof and the good thereof, behold, we are servants in it: And it yieldeth much increase unto the kings whom thou hast set over us because of our sins: also they have dominion over our bodies, and over our cattle, at their pleasure, and we are in great distress. “Fluoride poisons hundreds of enzymes in the body,” says Dr. Brownstein, author of the newsletter Natural Way to Health and one of the nation’s foremost practitioners of holistic medicine. “Fluoridation of the water supply is associated with an increase of certain cancers and causes thyroid problems.” While critics of fluoride were once considered a fringe group, they are now finding themselves gaining a voice in mainstream medical circles. 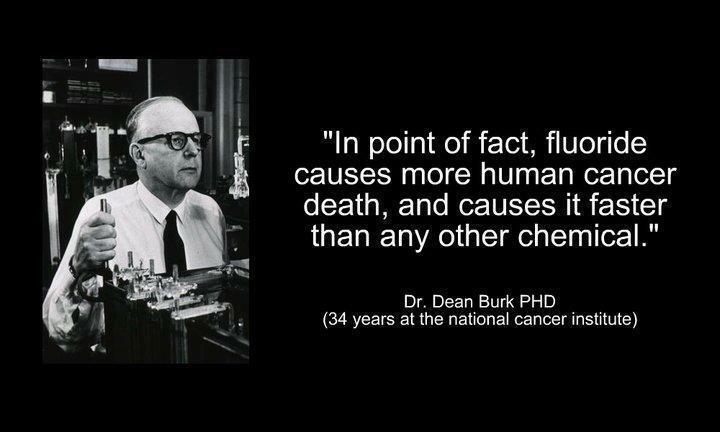 Excessive levels of fluoride may be linked to neurotoxicity, hormone problems, and cancer. Is Your Drinking Water Damaging Your Health? Because the human body is 60% water, we need to drink enough daily to remain hydrated – eight 8 oz glasses are recommended. But there can be problems with our water, depending on the source of it, whether tap, bottled or well. This article discusses 3 specific problems that can have serious health consequences such as heart disease or cancer. • Magnesium deficiency. Magnesium supports more than 300 metabolic processes, including regulating blood pressure and heart rhythm and the proper absorption of calcium. Health experts say as many as 80 percent of us fail to reach the RDA of 360 milligrams daily for women and 420 milligrams for men. 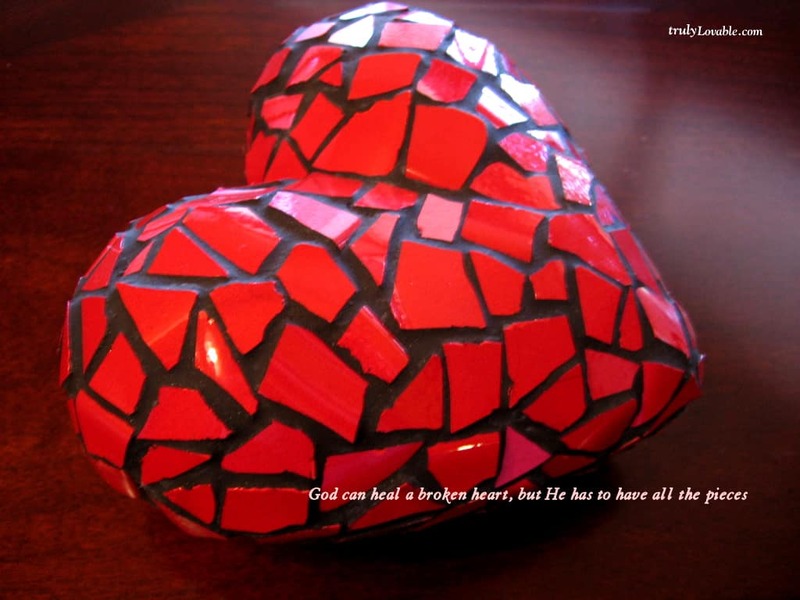 Older adults are especially vulnerable. Bottled drinking water is making the situation even worse, since many people have swapped tap water, which is a significant source of magnesium, for bottled water, which contains far less. Typical symptoms of magnesium deficiency include insomnia, anxiety, pain, muscle cramps and weakness, restless leg syndrome, abnormal heart rhythms, and fatigue. • Arsenic. Arsenic is a deadly poison, and a study at Johns Hopkins Bloomberg School of Public Health found that even trace amounts that naturally occur in well water double the risk of developing and dying from heart disease, stroke, and atherosclerosis. The [EPA’s] limit on arsenic in drinking water is 10 parts per billion, but the standards only apply to municipal water utilities. Arsenic levels are much higher — sometimes as much as 100 times higher — in well water in some areas of the country…Numerous studies have found links between arsenic and poor health…[including] diabetes. “The US government has finally admitted they’ve overdosed Americans on fluoride and, for first time since 1962, are lowering its recommended level of fluoride in drinking water. About 40 percent of American teens have dental fluorosis, a condition referring to changes in the appearance of tooth enamel—from chalky-looking lines and splotches to dark staining and pitting—caused by long-term ingestion of fluoride during the time teeth are forming. In some areas, fluorosis rates are as high as 70-80 percent, with some children suffering from advanced forms. It’s quite clear that when you add fluoride to drinking water, you cannot control the dose that people are getting, and fluoride is in fact not only a non-essential mineral but a toxic drug. 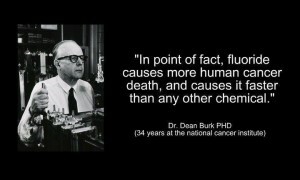 This alone is one of the reasons why fluoride shouldn’t be added to drinking water at any level. Yet water utilities administer this drug without a prescription, at the behest of the government, without any idea of who will get what dose and for how long, and without monitoring for side effects. “Although the granite mountains of Maine may be spectacular, they may be hiding a secret that’s affecting the IQs of residents: Fluoride leaches from the granite and drains into the private wells that provide drinking water for many of Maine’s communities, leaving many with dangerously high levels, says an article in the Scientific American. After farmer Craig Watts went public about the abuses in the factory farm system, over 130,000 people signed a petition to the USDA calling for reforms in the chicken industry and demanding that the USDA prohibit false labeling of poultry. Consumers are being misled about the conditions birds are kept under, and the health and safety of the birds being raised for public consumption. A recent John Oliver program on HBO featured an expose on the factory farm system for chickens. Although normally Oliver is a comedian and it’s HBO so he can be a bit crass, still it’s something EVERYONE should see. He documents how the companies bind poultry producers to outrageous contracts that keep them in poverty, and force them to keep the birds in extreme conditions (such as no fresh air or light, living on caked beds of feces, etc.) to maximize their own profits, without regard to either the welfare of the birds or the health of consumers. “Craig Watts is a North Carolina chicken farmer who raises more than 700,000 broiler chickens each year for Perdue farms, one of the largest poultry manufacturers in the country. Watts says he has been raising chickens for Perdue for more than 20 years, tending to the chicks delivered to him by the company and following Perdue’s guidelines for how to raise the birds. Perdue labels all of its chickens as “humanely raised.” For a long time, Watts went along with things as they were. But then he allowed the group, Compassion for World Farming, to spend months at his farm with cameras documenting the conditions. The physical toll the chickens endure as a result of their genetic make-up only appears to be exacerbated by the physical reality of circumstances in which they’re being raised. The birds are confined to a space smaller than a square foot, and frequently spend their entire lives atop mounds of feces. The result is that many birds—more than 1,000 per 30,000 bird flock—die within the first six weeks. Perdue sells its chicken with a label that says both “humanely raised” and “raised cage free.” The former claim seems debatable, especially considering how nearly one million of its birds are being raised each year…And the latter is arguably misleading, because it applies to virtually all chicken meat sold in the United States. The problem is that these claims, however misleading they might be, are actually pretty effective sales pitches. A recent survey showed that the vast majority of consumers prefer cage-free “humanely raised” labels, according to Kristof. Craig Watts: Keep food system transparent This is a national scandal, not just because animal welfare matters (since most Americans do not want to purchase meat from animals which have been tortured) but because it puts the health of consumers at risk when those same birds and animals are kept in unsanitary conditions, are sick, and are bred for deformity. This new law will legally sanction punishment of whistleblowers like Craig Watts not just on factory farms but in hospitals and nursing homes that care for veterans and the elderly. Pushed by lobbyists for large corporations, North Carolina’s governor vetoed the bill but it was passed by an override vote. “I opened my doors to cameras because I saw misleading advertising about the realities of the way chickens were being raised. I shared video and photos of those realities to American public because I thought it deserved to know the truth. As I expected, once the people saw the truth, they were outraged. In response, instead of taking these concerns and American outrage seriously, those calling the shots in North Carolina’s meat industry are trying to make sure the public never sees inside another factory farm in North Carolina. Senate Bill 433 and House Bill 405 are deceptive “ag-gag” measures aimed at stopping investigations into North Carolina farms. Lobbying groups such as the Pork Council and Poultry Federation are pushing legislators hard to pass these bills. Our elected officials shouldn’t be serving the interest of a few powerful companies and trade groups, they should be serving the American public, who, when polled, squarely oppose these types of bills. Compassion in World Farming This is a great site to get information about the raising of poultry, cows, pigs, etc. You’ll learn more about the contract system that large companies keep most American farmers bound to today, and how it is hurting animals, farmers and consumers. The “family farm” of past generations is virtually gone, even when the farms are small and family-owned so that they appear traditional. For instance, whislteblower Craig Watts’ farm has been in his family since the 18th century, but that history is one reason why he finally spoke out against the practices that corporate contracts demand for the sake of their profits. “Farmageddon: Throwing the Book at Factory Farming” There is a video on this page showing the reality of what’s happening to animals and birds on factory farms, and relating it not just to the damage to the environment, but also to the plight of the farmers caught up in it, and the consumers who are having health issues because of it. “For decades, our farm animals have been disappearing from our fields as our food industry has gone global. Every year, we farm nearly 70 billion animals for meat, milk and eggs. By the time you finish reading this sentence, around 4,000 farm animals will have been slaughtered. 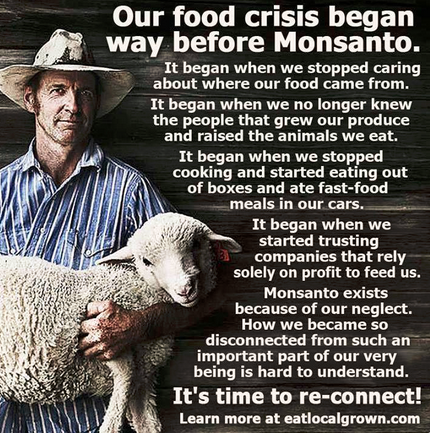 “[B]io-agriculture on planet Earth is deteriorating nutrition and health in general. People are eating pesticide and insecticide and looking to MDs to fix their self-inflicted health detriment, all while they keep eating weed killer and bug killer food. We are living in a time of smart phones, smart drones and smart meters, but we eat processed, dead and deadly food. We are living in a time of jet planes, cross-world video chats, and flat screen liquid televisions, but we are suffering by the millions from preventable disease, like cancer, diabetes and Alzheimer’s. In the late 1930s and early 1940s, Adolf Hitler had his Gestapo and his “Biotechnology” Big Pharma monopoly called IG Farben, which was short for Interessengemeinschaft Farben. When Hitler took over a new country, he would replace their “drug stores” with his own, and this helped him weaken the enemy. The food choices we make and the “medicine” we choose to take or NOT TAKE can be all the difference in our health, wealth, personal power and control of everything we experience. Even our job and our home can be realms of personal power if we don’t consume chemicals. But Monsanto, the conglomerate corporation that creates a majority of pesticide-based food, along with Dow Chemical, DuPont, Bayer and Syngenta — are feeding the masses sick food so they can make more trillions of dollars off sick care. It’s the way of the Western world, unless you choose to make a DIFFERENT choice with every dollar you spend. There are only two types of people in the world: those who want to control you and those who want to empower you. Even corporations can be viewed in that same light. Their products can be part of manipulating you and taking your money, or they can be part of your healthy, happy and progressive lifestyle. Doctor Errors Kill 500,000 Americans a Year This helpful article doesn’t just give you the bad news about a health system that is rapidly getting worse. It also gives some good, practical suggestions for things you can do to protect yourself. 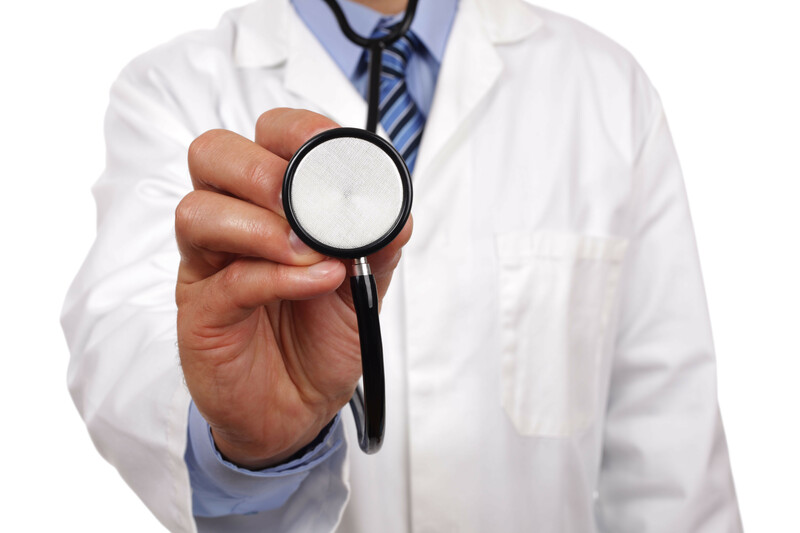 The most important thing is to ask questions of your doctor such as how confident are they in your diagnosis, where can you learn more about your condition, etc. There are 8 specific questions listed that it would be good to keep somewhere so you have them handy next time you go to the doctor. 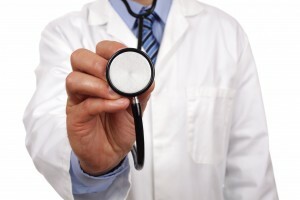 “Here’s a shocking statistic: Doctors screw up 15 percent of the time. “Let’s put this in perspective. 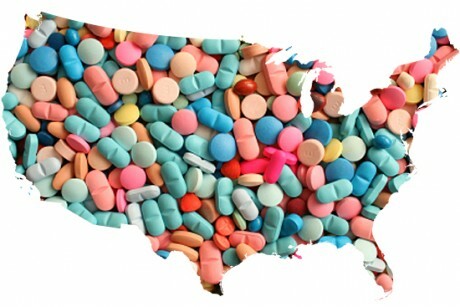 The death toll from healthcare screw-ups adds up to at least 500,000 Americans annually. That is the equivalent of three jumbo jets crashing every day of the year and killing everyone aboard,” says renowned pharmacy professor and medical author Joe Graedon. [D]iagnostic errors are rampant. “It’s the most frequent, most severe, and most costly of medical mistakes in malpractice suits that result in payments to patients and families,” says Dr. Newman-Toker. The No. 1 reason doctors mess up a diagnosis is overconfidence, says Graedon. Other causes for diagnostic errors include reluctance by doctors to ask for help in difficult cases and a too-big patient load that makes doctors rush to a conclusion without proper consideration.